For us writers, all our works are very close to us, because they are the result of our hard work, past experiences, and memories, all of which matter to us a lot. They make us who we are. And so, we cringe at the thought of a critic reviewing our work. We’re naturally wired to disagree with everything the critics say. We find it hard to believe that, what we wrote with so much love and passion, could have errors or someone could find faults in it. Our reaction to criticism, constructive or otherwise, is either to ignore it or become defensive. Just think, what happens when you disregard your critic’s suggestion? Your work continues to be mediocre and your writing skills remain stagnant. Now, none of us would want that! So, why not try and make the most of the constructive criticism your work is subjected to? I know it’s difficult. But if done in the right way with the right approach, you will soon learn to convert those negative feelings stemming from criticism into growth opportunities. Keep reading to find out how! When you put your work out there for people to read, you also unknowingly invite criticism from people who think your work could have been better. Criticism can never be avoided, no matter how much you try. Different people will have different preferences, thoughts, style of writing, greater experience and skill, and it is practically impossible to create something that pleases everyone. At times, people will criticize your work voluntarily or sometime writers ask for a critical review. Irrespective of whether the criticism was voluntary or requested, handling it is never easy. First up, let’s see what things you should consider if you’d like to approach someone to review your work critically. Your critic should be a writer, an editor, or someone belonging to the field of writing. You have seen some of their works and you like their style of writing. You would like to learn certain aspects of writing from them. They are well-versed with your genre and style of writing. They have a clear understanding of your target audience. When you approach someone to review your work, you have an advantage of choosing the right person to do the job, take complete advantage of that. Now, let’s say someone has criticized some of your writings. This is never a good feeling, so that’s normal. Let’s see how to deal with it and more importantly, how to make the most of it. Constructive criticism can have so many distinctive purposes. 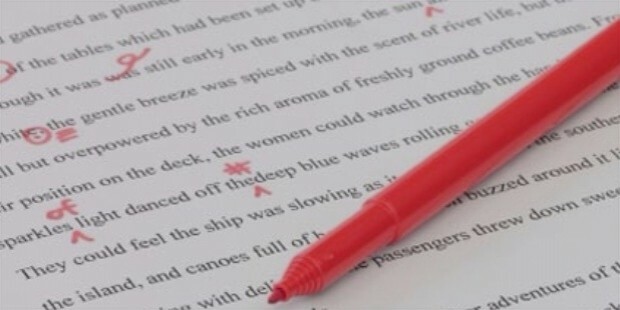 Criticisms aim at showing you an aspect of the topic that you perhaps missed, highlight mistakes such as factual or analytical errors, give you a different take on the subject, points out grammatical mistakes and typos, etc. Some critics also comment on your tone and style of writing, depth or lack of depth of your content, and your understanding of the target audience. A good critic will always focus on the improvement of your work and you, as a writer. Hence, they will also mention the positive aspects of your writing that they’d want you to continue doing. 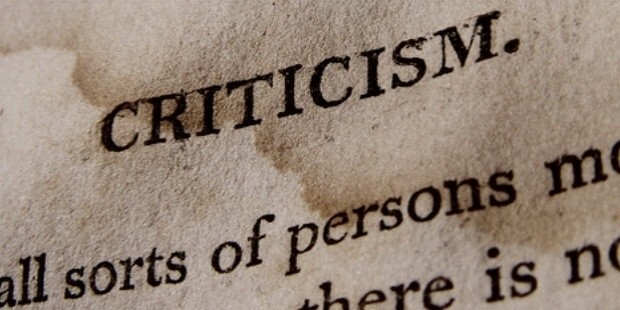 Understanding the purpose of criticism will help you see it in a positive light. Read the entire review, or if the criticism is being given face-to-face, listen patiently without interrupting. Try not to be emotionally attached to those words. The criticism is for your work, and not for you as a person. After you thoroughly go through the critique, keep it aside for some time. You need time to get rid of your emotions and defensiveness. Come back to it after your mind takes over your heart. When you come back to your criticism, go through every comment, feedback, and suggestion. Your approach to this should be as neutral as possible, as if, it’s someone else’s work that has been criticized. Consider the comments and suggestions from a third-person perspective. Although, a critic should never use harsh words, if you do come across a strong negative tone, keep your calm. Separate constructive part from the criticism part. You can safely choose to ignore the comments, as long as you focus on the reason why the critic felt so. Dwell in the reasons behind every statement. A comment or a feedback without reason is an incomplete and ineffective form of criticism. Ask questions when you do not understand the purpose or benefit of a comment. Now, you can resume your role as a writer and bring in your outlook, something you have been waiting to do since the time you read the critique. Finally, you can write your replies to the critic’s comments explaining your thought process, as to why you chose to write something in a certain way. Do not be biased. If you feel, your critic’s reasoning is better and if it makes sense to you, then do not refrain from accepting that. Sometimes, a critic’s view doesn’t seem to be aligned with your writing objective. For instance, when your critic says that the tone of your writing was informal but you prefer writing in a conversational style because that comes naturally to you. Clearly, this is your style and you are free to use it, unless you are writing an academic or a research paper. There’s no need to adopt every change the critic asks you to make. Know when to hold your ground. Dealing with criticism is a part of any creative job, or for that matter, every profession. It is up to us to decide how we are going to deal with it. 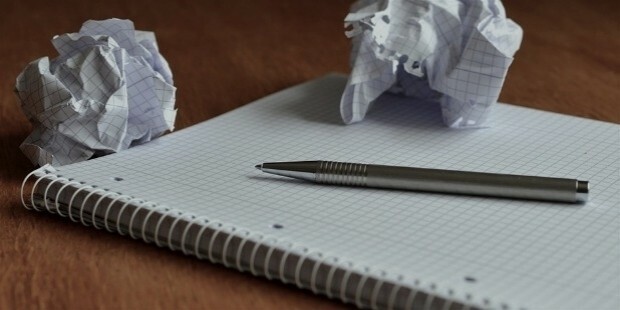 Are you going to sulk or use it to hone your talent of writing? Choice is yours!